Ik heb ‘m! 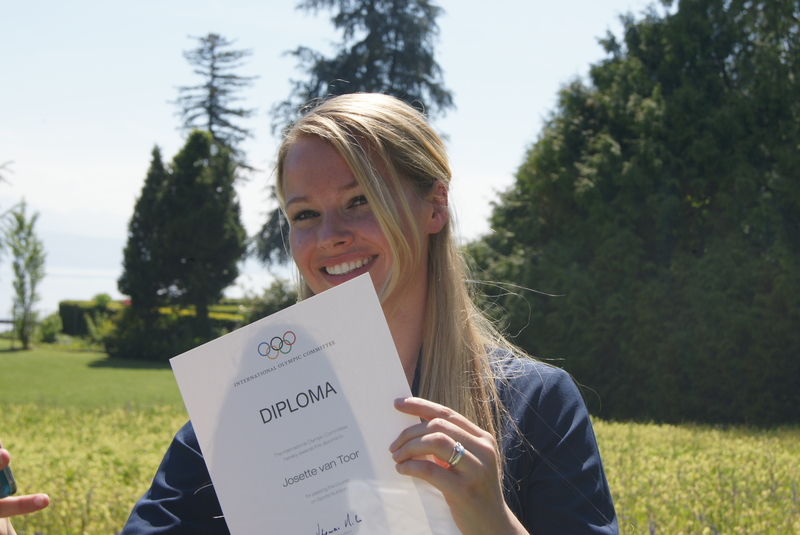 In oktober 2016 was ik al afgestudeerd aan het IOC (internationaal Olympisch Comité) Sports Nutrition, maar afgelopen 5 mei 2017 mocht ik mijn diploma dan toch echt in ontvangt nemen in Lausanne, Zwitserland. Wat een eer om dit mee te mogen maken. Ik ben nu officieel onderdeel van de prachtige Olympische familie. “Someone once asked me what I wanted to accomplish in life. Now, many years later I know the answer. I not only know the answer, I did everything in my power to make it happen. It’s only now that I realise what the answer to that one simple quenstion was. I am a Sports Nutritionist. 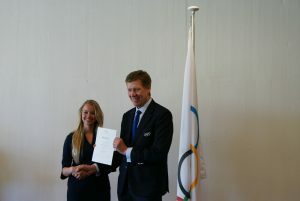 I am now officially part of the Olympic Family. I am as proud as one can be. I am beyond grateful for this special titel and to be a part of this amazing community. For now, I can proudly say that …I have a 4 year degree in Nutrition & Dietetics, a degree in Sport Nutrition and since 2016 an IOC Dilpoma in Sport Nutrition. It is 7 years of hard work and pushing through stages of tears and fatigue. But it is even more about passion. Passion and above all loving the road you’ve got to take to accomplish your goals in life. I will continue to give whatever I can to grow in the future. Give a little more each day, each month and each year. Even when allies draw lines in the sand. It is what I am as a person.